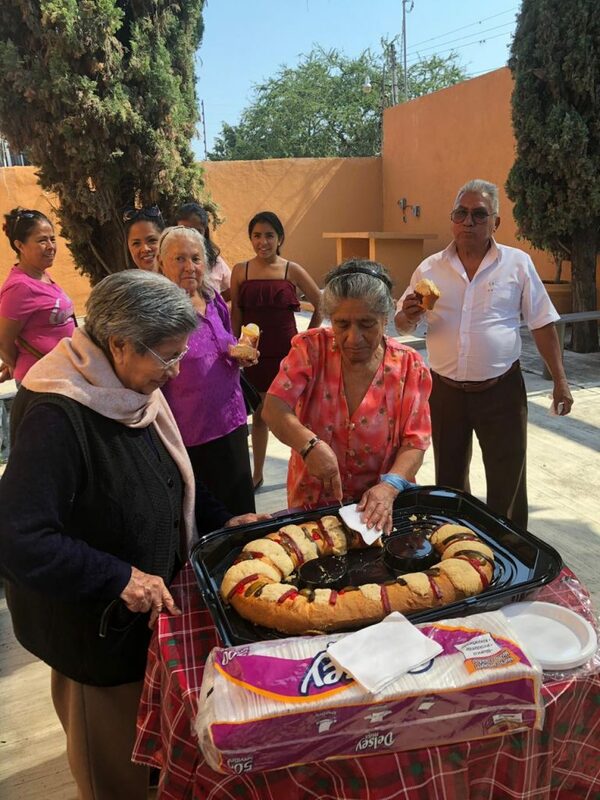 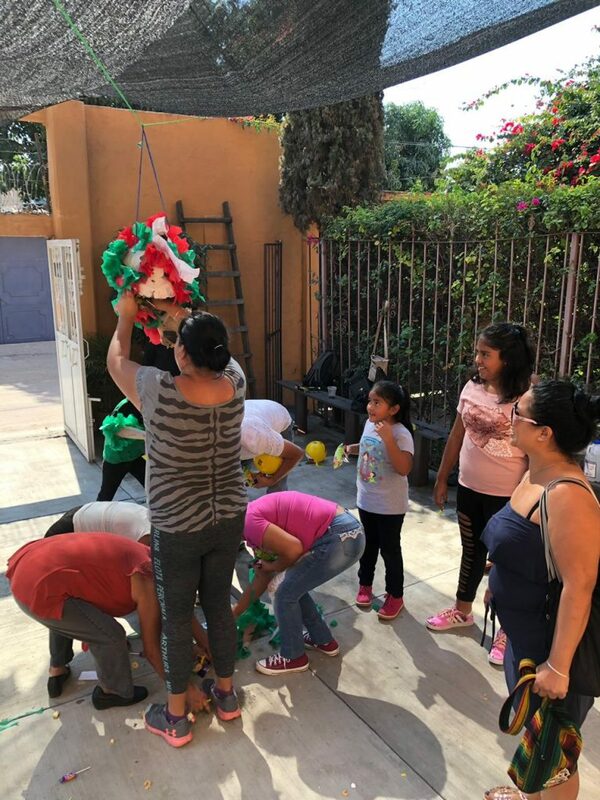 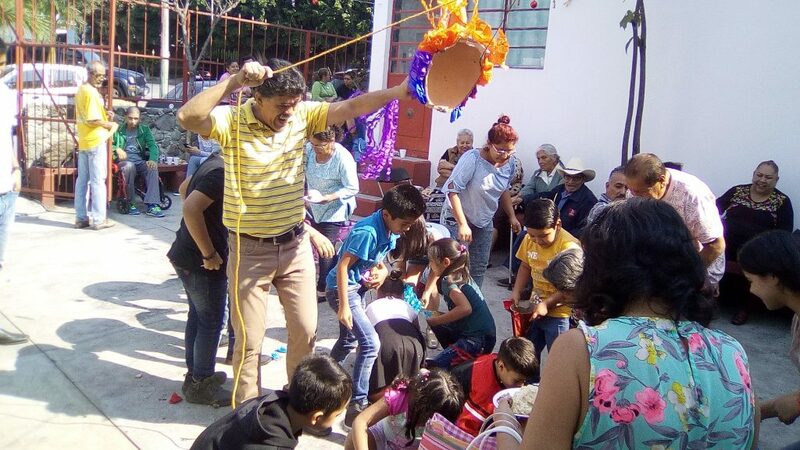 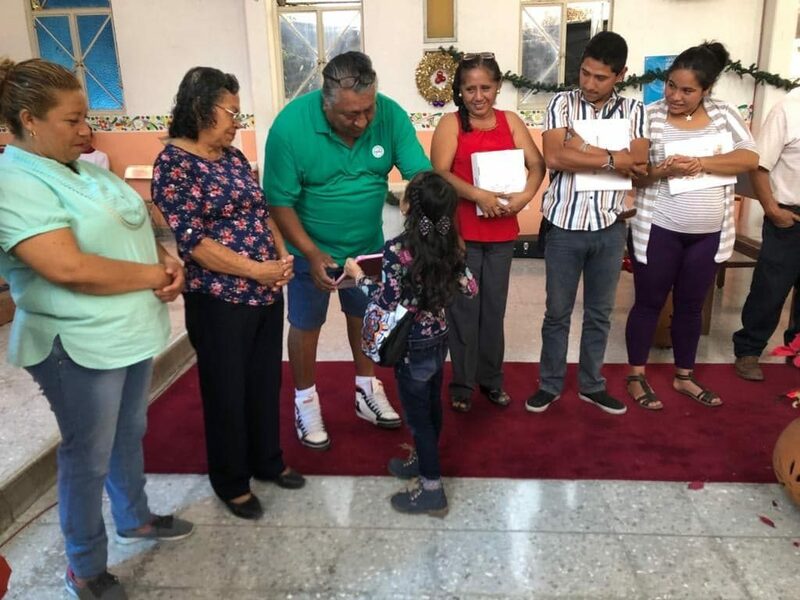 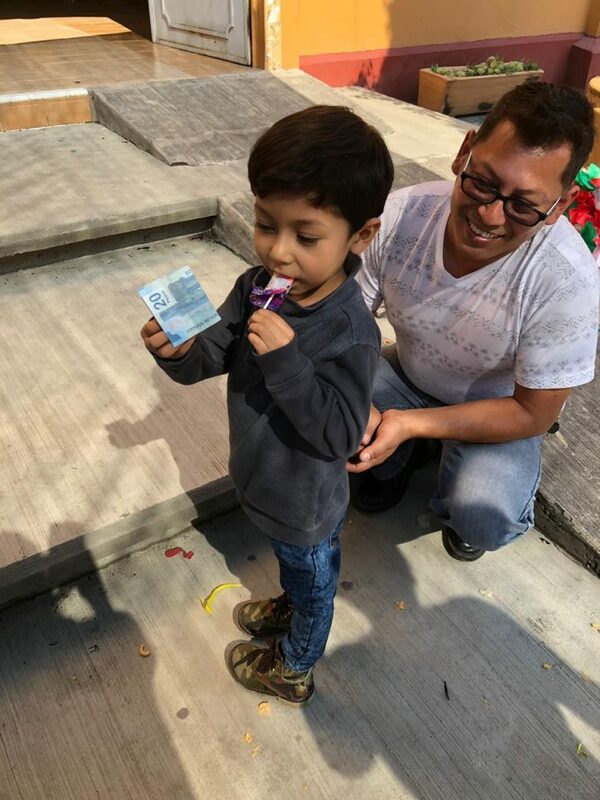 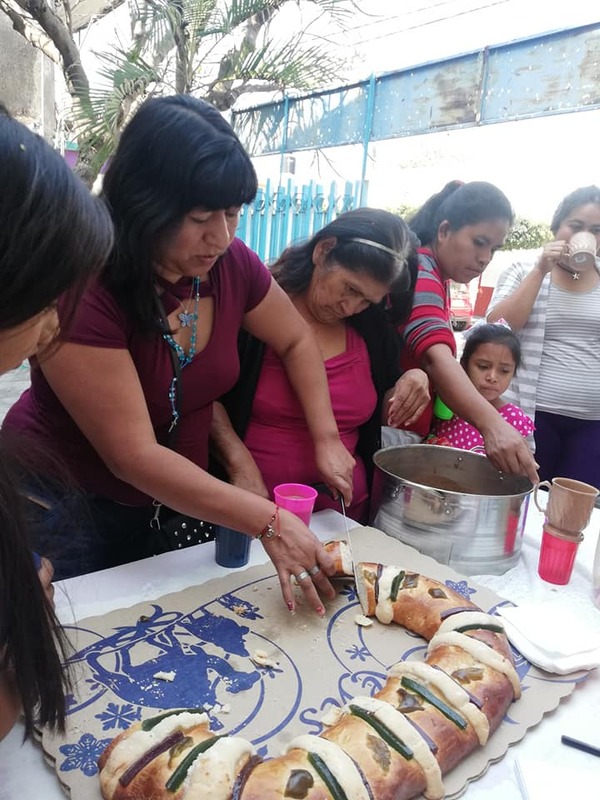 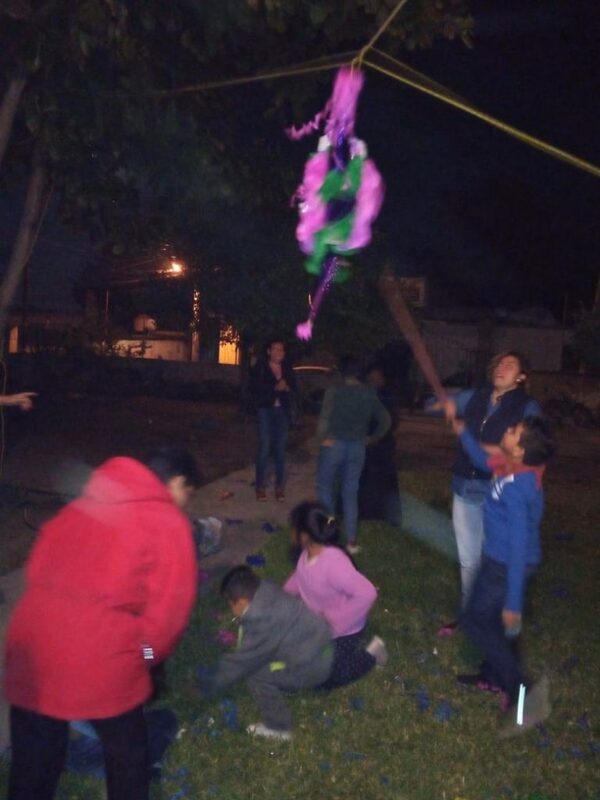 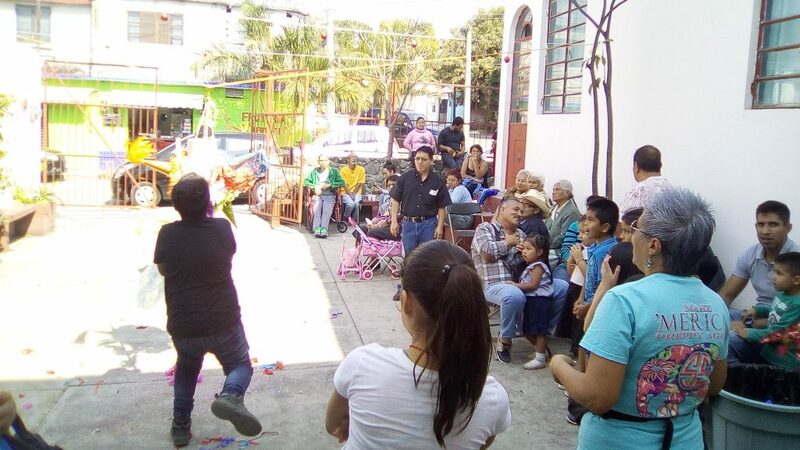 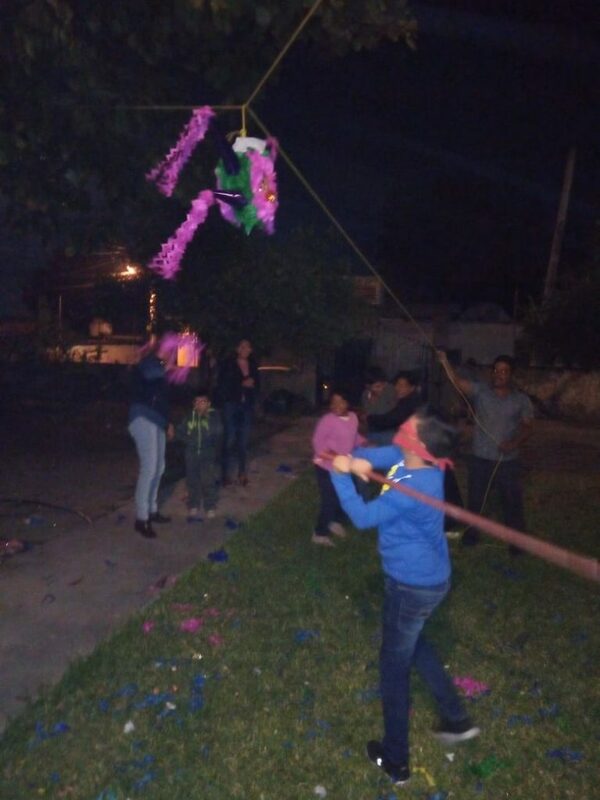 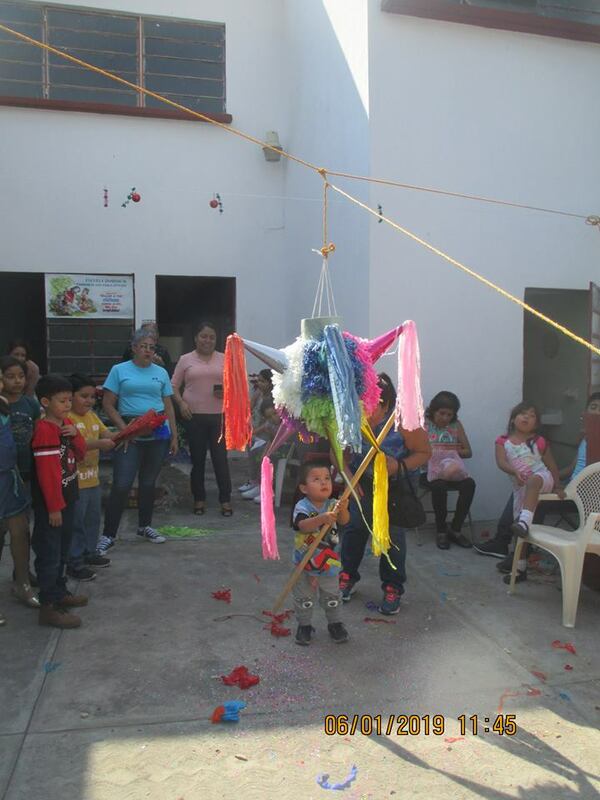 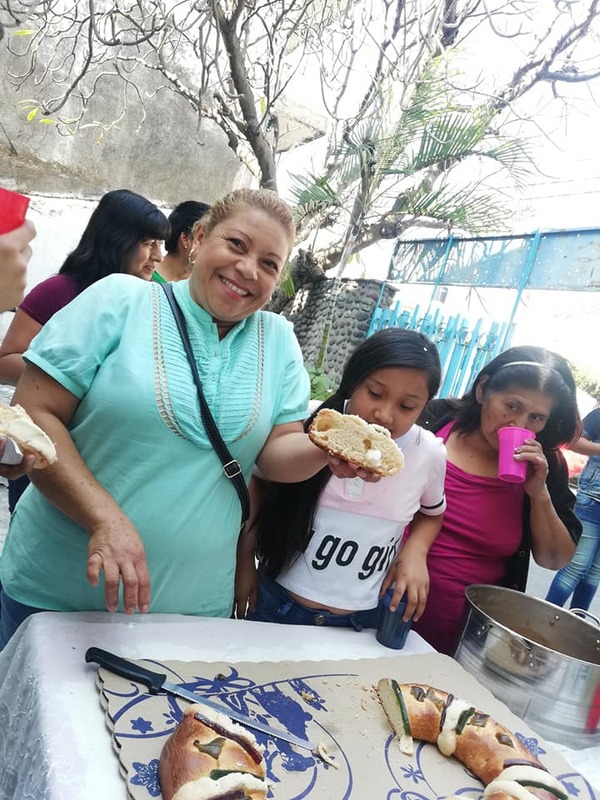 We have some new pictures to share from our Sister parishes in Mexico, showing celebrations at the various churches within the Anglican Diocese of Cuernavaca. 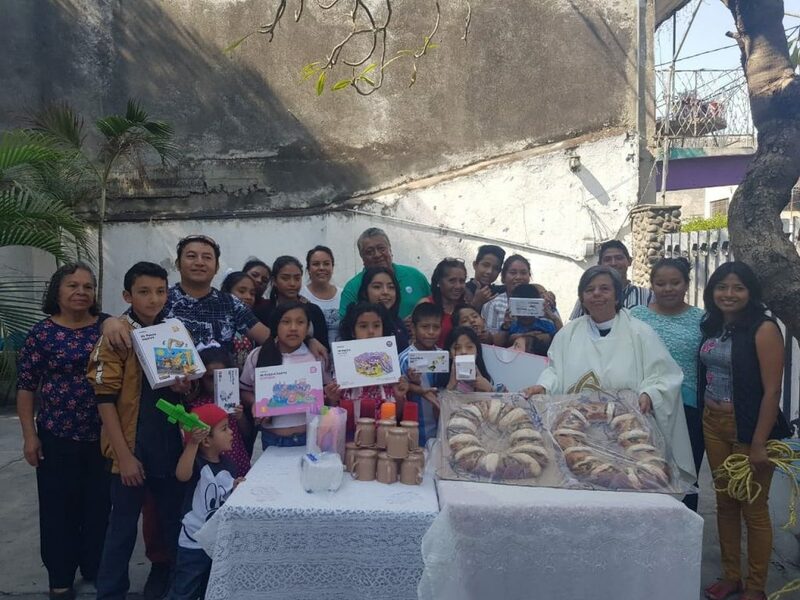 All Saints supports two parishes from this Diocese through donations and craft sales (managed by Dawn Ballard). 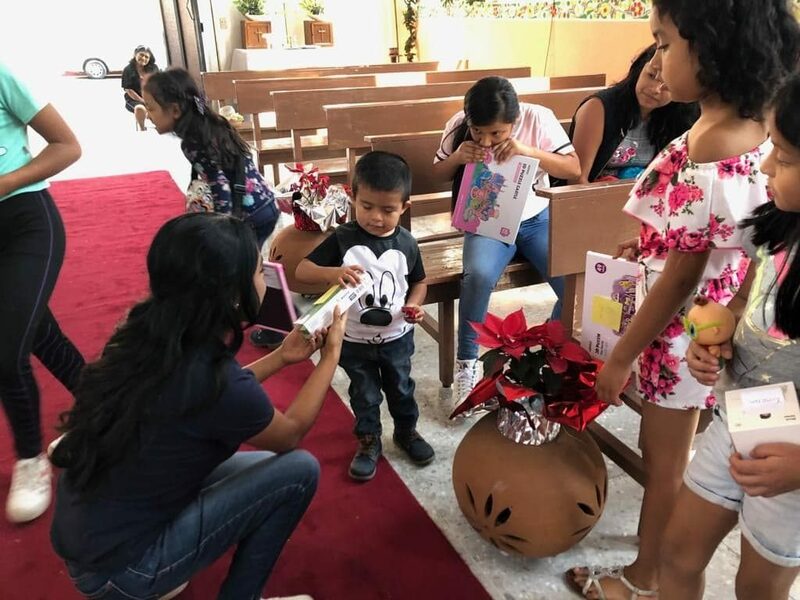 Members of our parish have sponsored Christmas parties for the children of these parishes for a number of years, and provided money to repair and restore their places of worship. 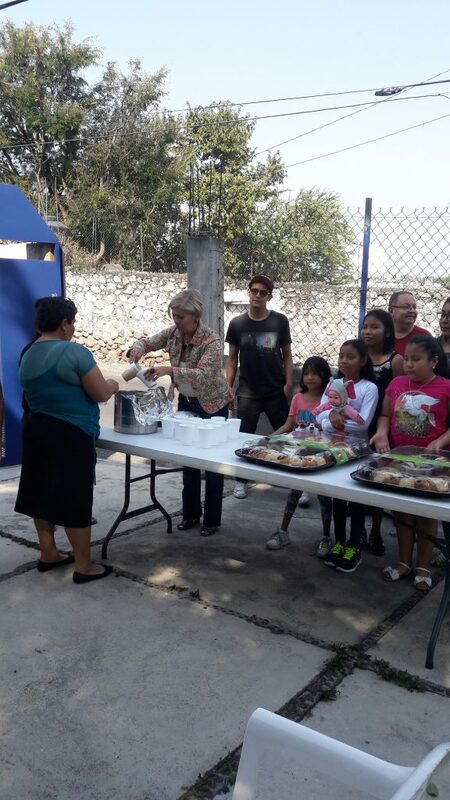 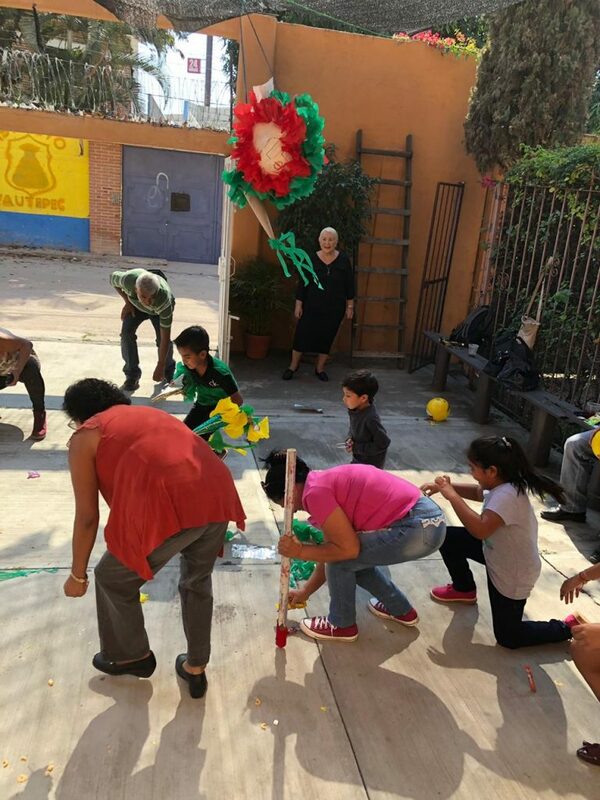 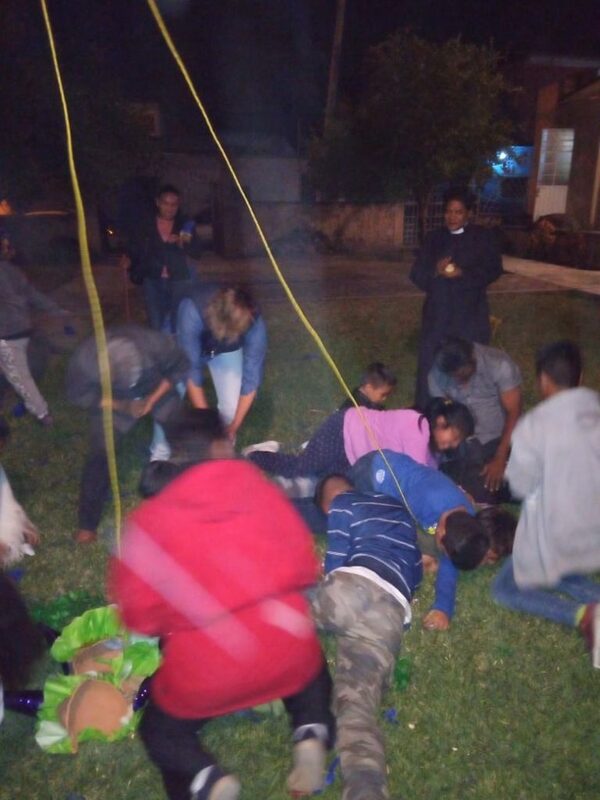 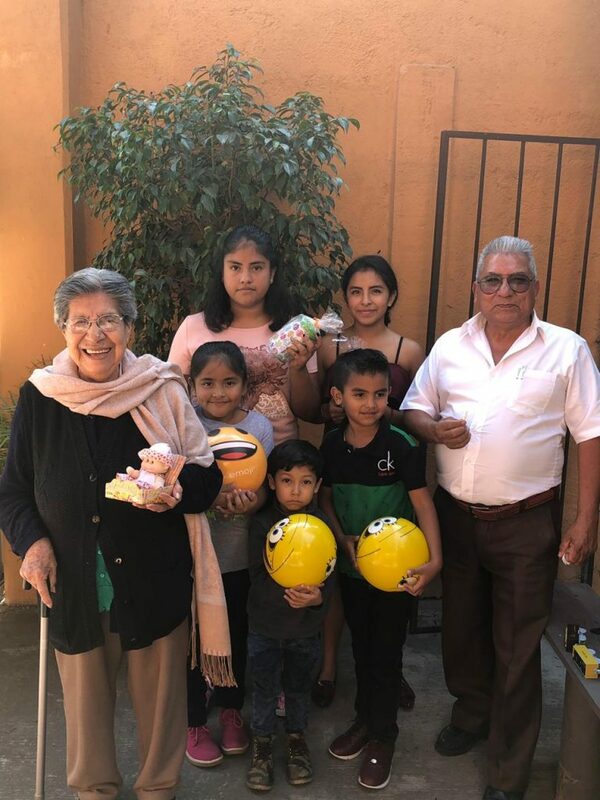 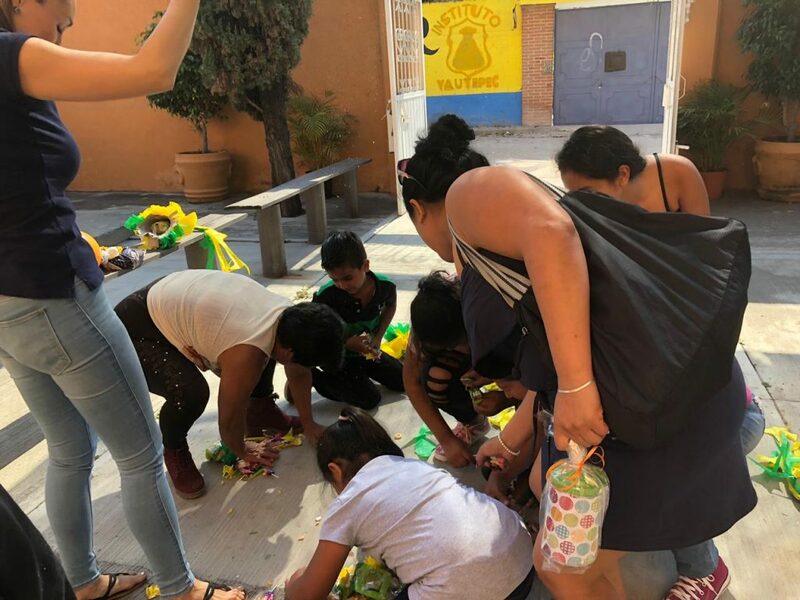 Back in 2014, our youth traveled to Mexico with Rev’d Nicola Skinner, Leah Springford, and Nellie Sadoway to help with church cleanup and repairs, and to socialize with our Mexican sisters and brothers. 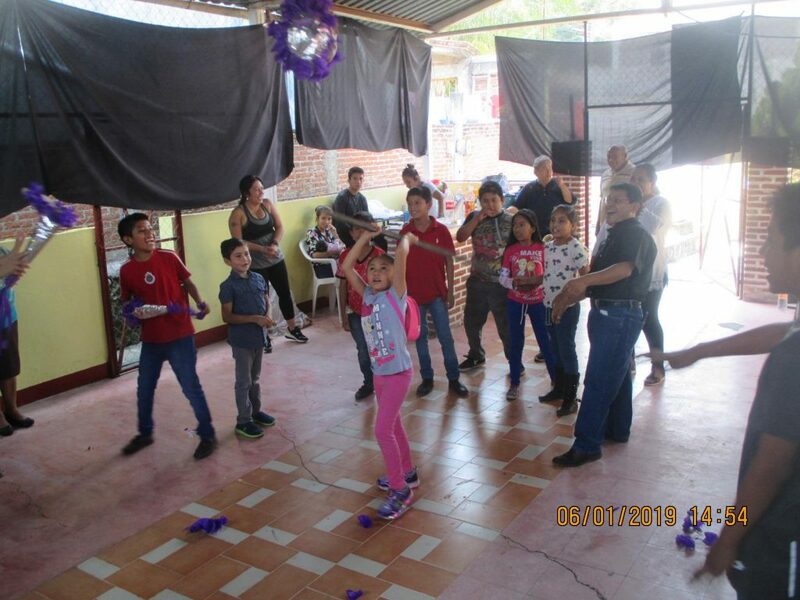 Some information from that trip is below. 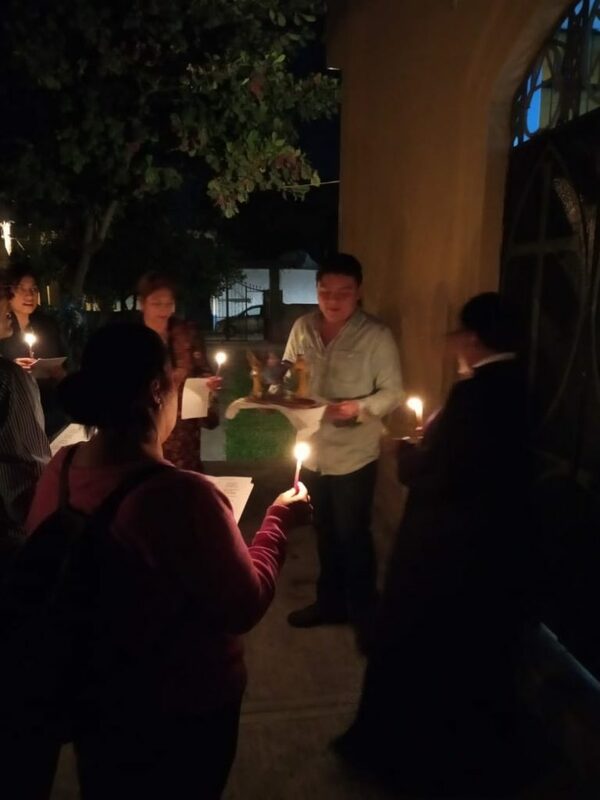 …Our relationship with [the Anglican Diocese of] Cuernavaca began after a visit to All Saints’ by the Rev. 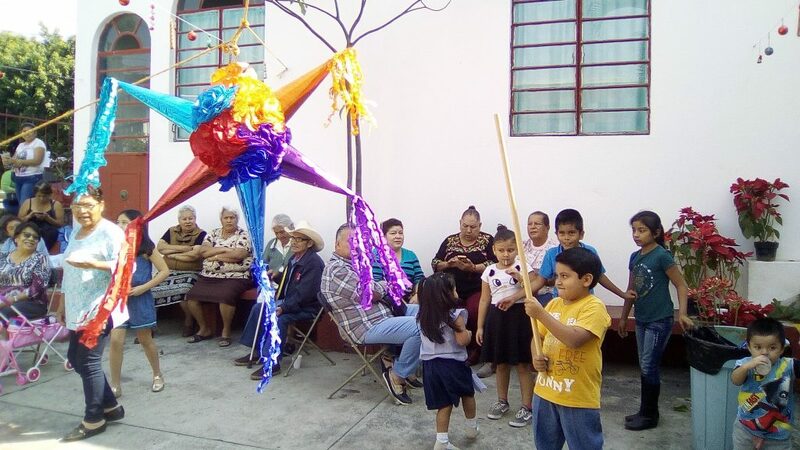 Gillian Ball, who served her curacy at All Saints many years ago and now lives for much of the year in her native Mexico. 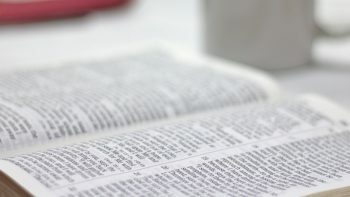 She asked us to consider a partnership with a small church there, and we ended up with two. 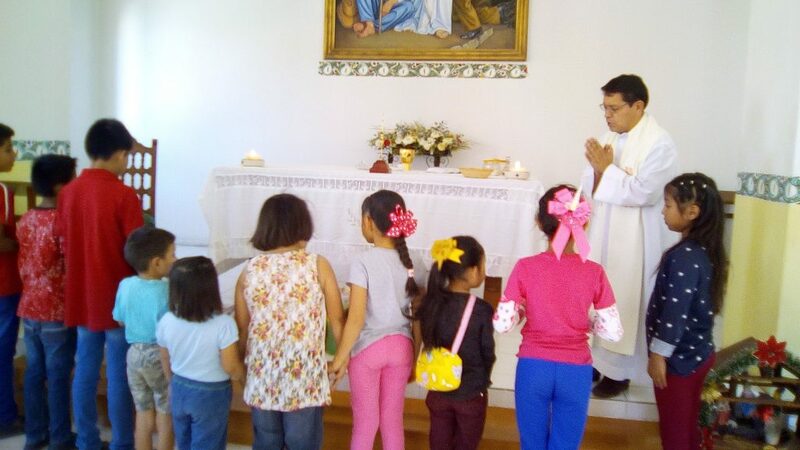 La Resurrection had a talented priest who wished to teach stringed instruments to his young people. 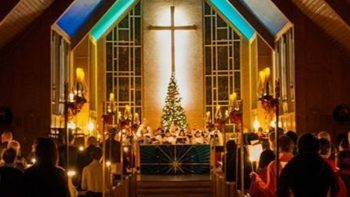 All Saints’ parishioners provided money for both instruments and sheet music. 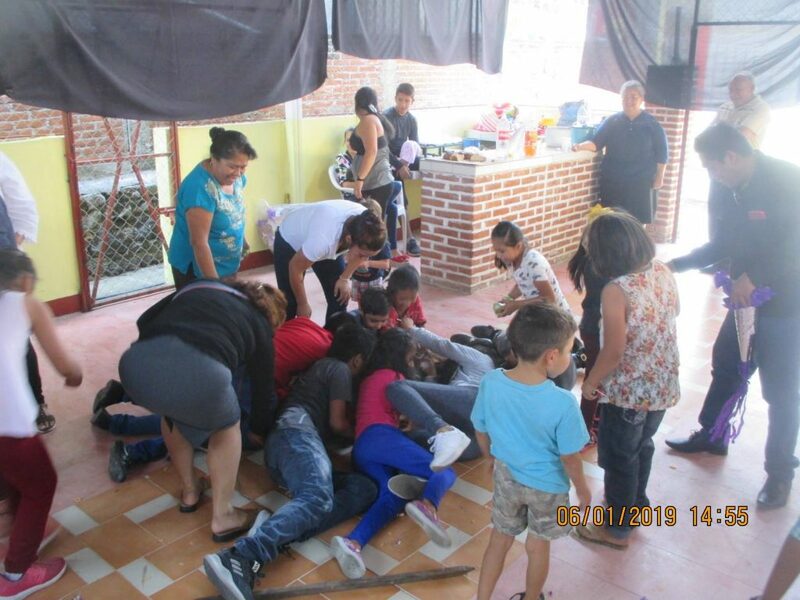 Father Pedro at El Calvario was doing great work amongst the poor, but had a dilapidated church with broken flooring, a porous and sagging stone altar and walls of lavic rock that provided hiding places for scorpions (not particularly conducive to an atmosphere of prayer). 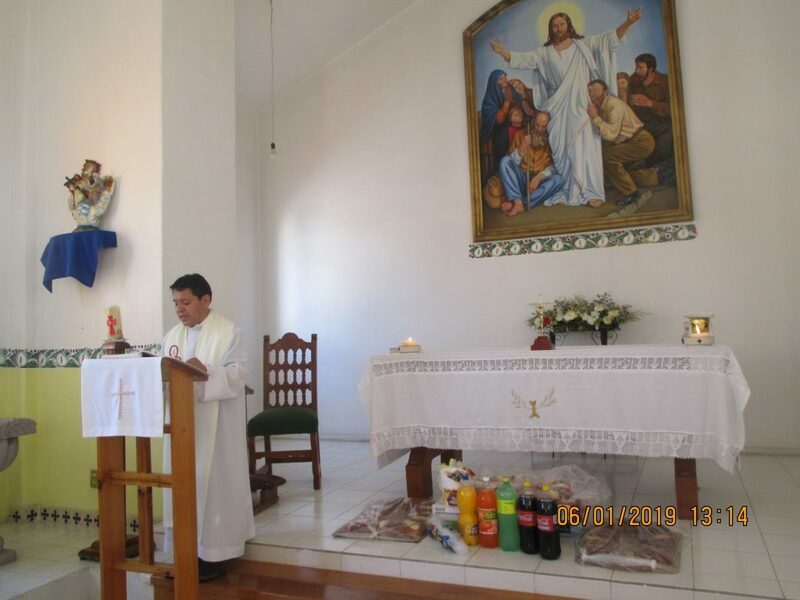 After a couple of fundraising events, we were able to send enough money to have the floor replaced, the walls plastered and a new font, altar and candle-stand created. 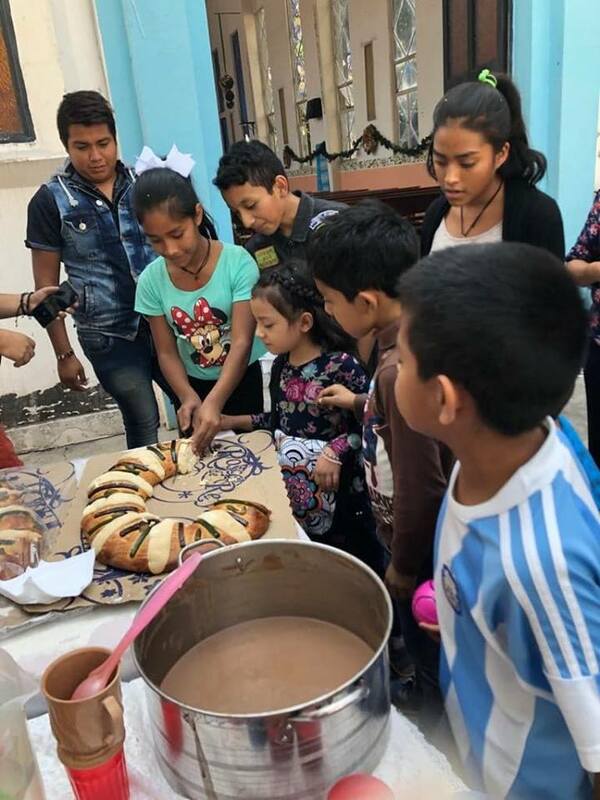 On the first Sunday after Christmas, we found ourselves in Father Pedro’s church, witnessing the pride his parishioners felt in their refurbished church. 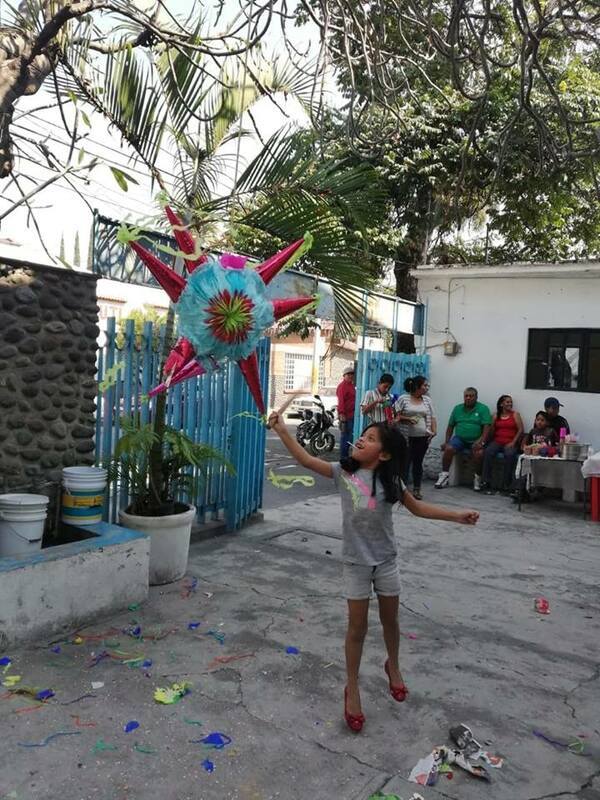 It was gleaming, filled with flowers and truly beautiful. 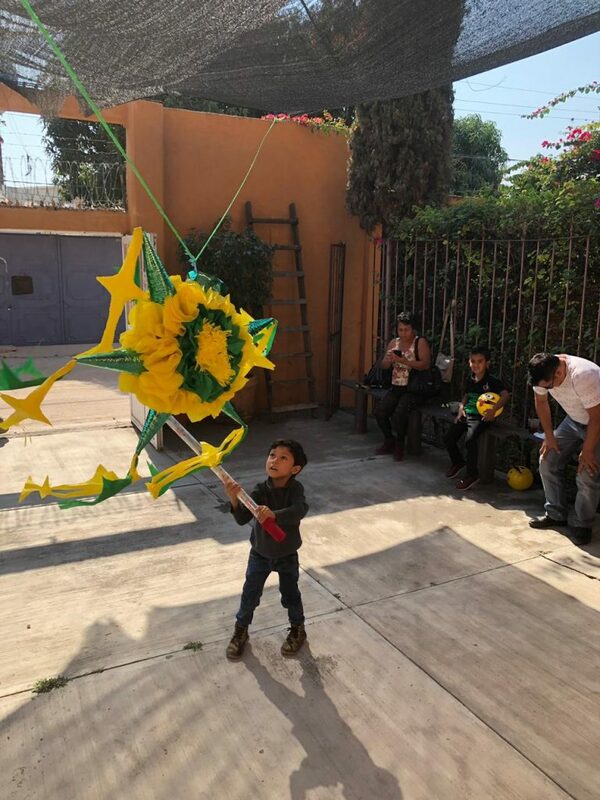 We hope you enjoy a sampling of these pictures recently sent to us from Gillian Ball, who forwarded words of thanks from the churches and related parishes in this Diocese who benefit from our financial support and prayers. 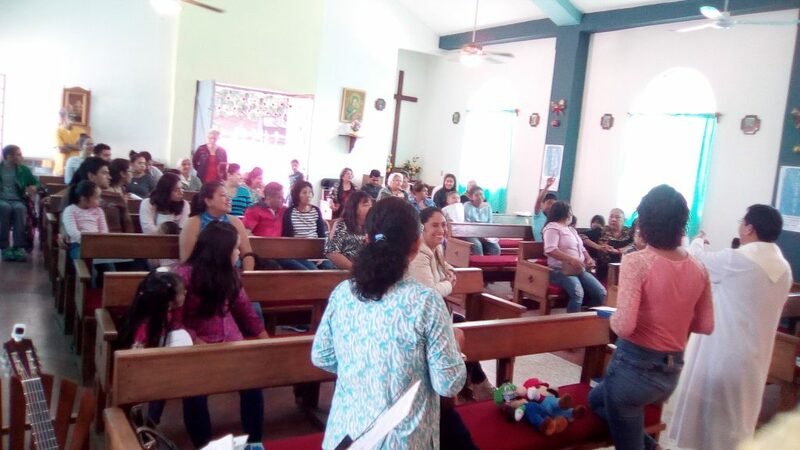 Photos from the Rev. 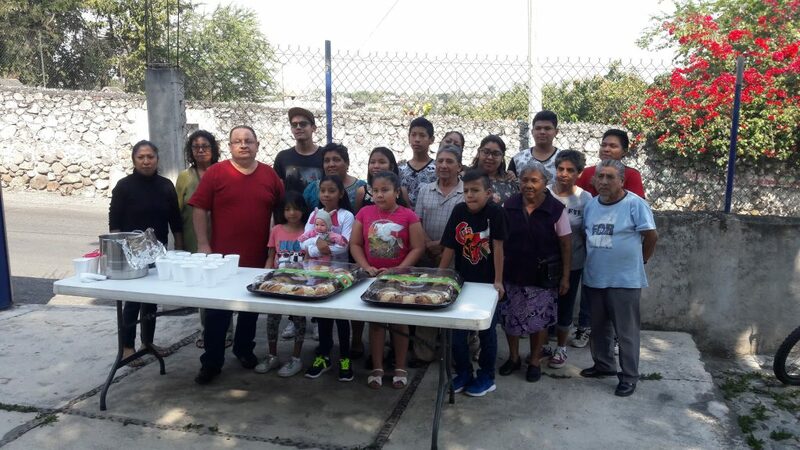 Anita’s church, one of the direct recipients of our donations, and where our youth group visited to help cleanup and prepare the abandoned church for renewed use back in 2014. 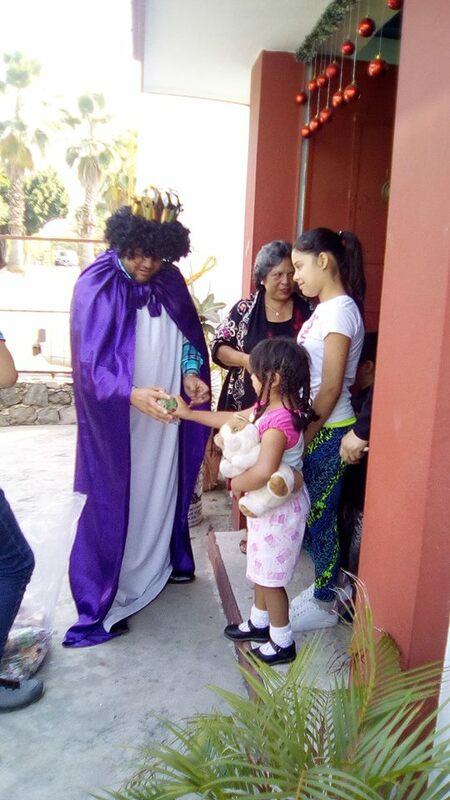 Photos ( a bit dark) of the 3 Kings fiesta Jan 6th at one of the Cuernavaca mission churches. 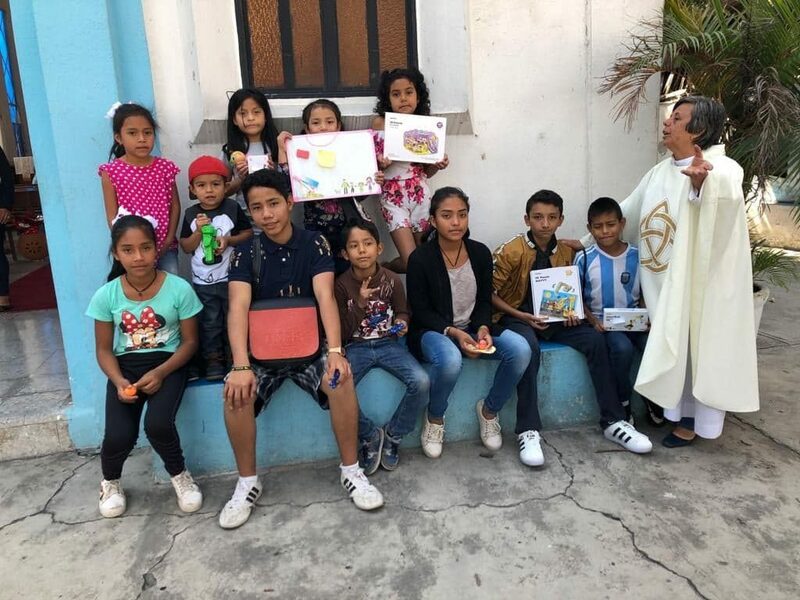 This mission, and all the churches in the Diocese, gives thanks for the generosity shown to them which provides much delight to their families. 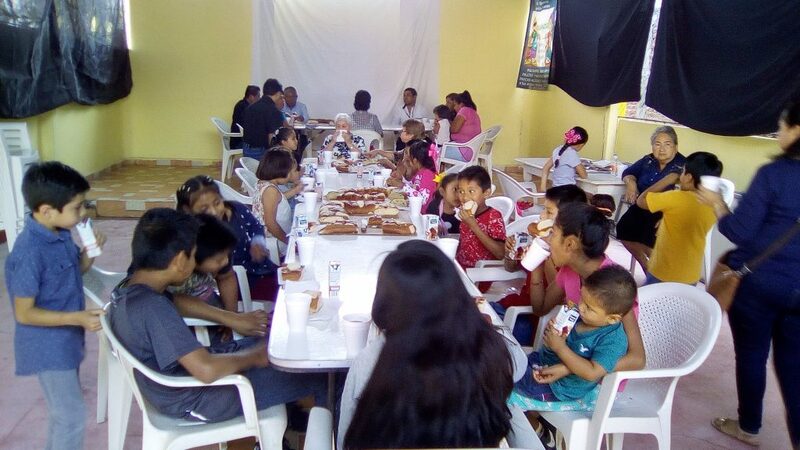 “Many thanks to our dear brothers & sisters in Canada and a big hug from this congregation of San Jose de la Montana”. 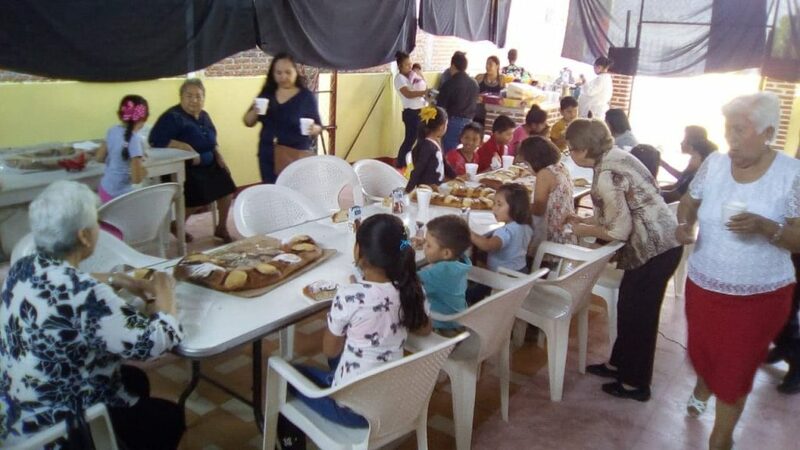 Photos from Father Bayron’s church in a poor area of Cuernavaca. 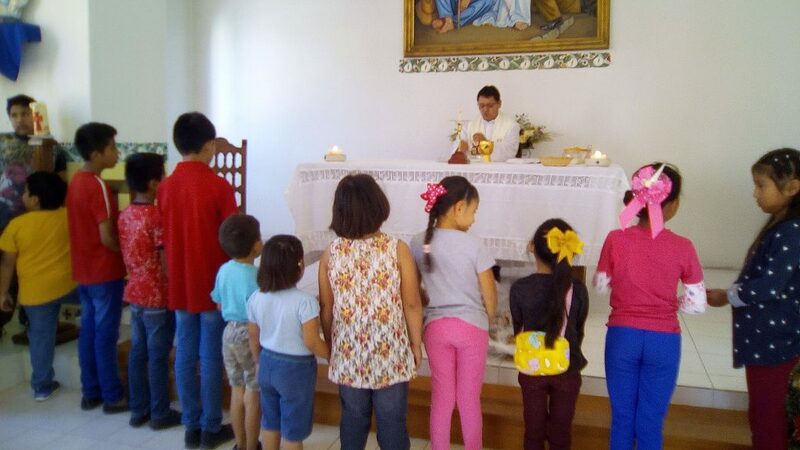 More photos from one of Padre Bayron’s churches (La Santisima Trinidad-Acatlipa). 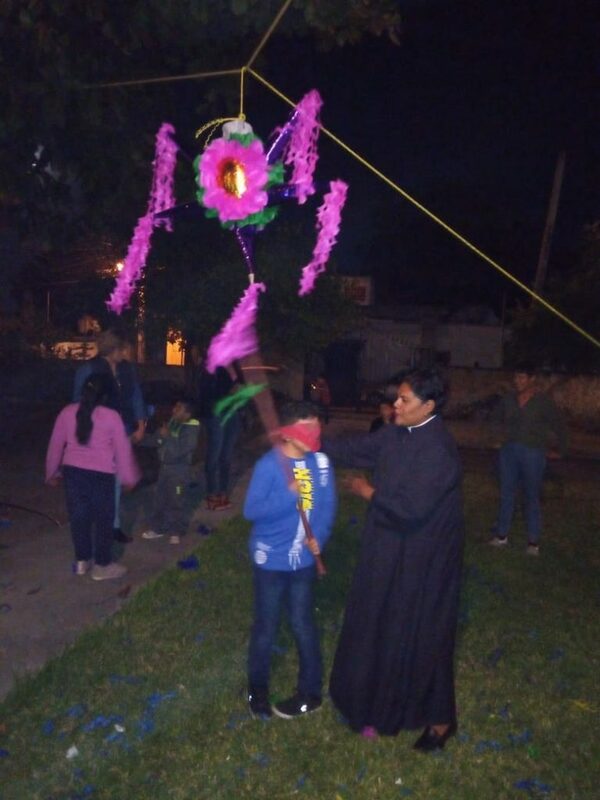 He is well loved priest (originally Guatemalan) who is doing much to build up both his churches with outreach and other projects. 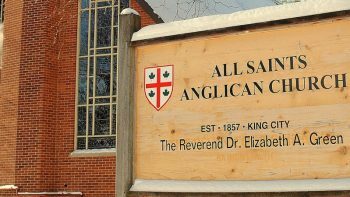 Next → Next post: Spring Rummage Sale!